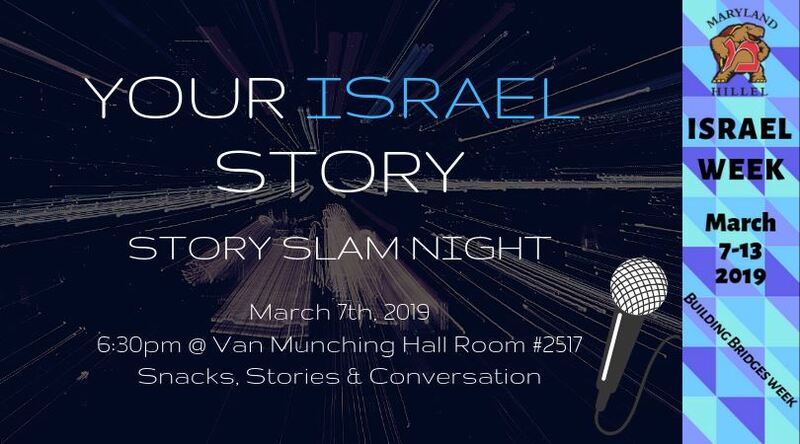 Join us for these events and programs to celebrate Israel Week. 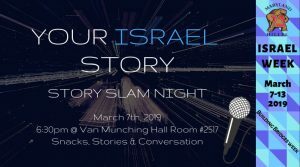 Throughout the evening, we will have five amazing students tell their personal stories as they relate to Israel. 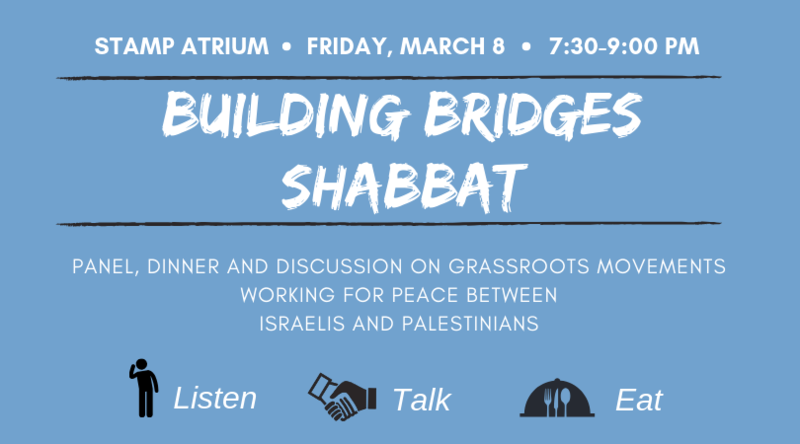 Join the Israel Discovered 2019 students, Maryland Hillel, and Maryland Discourse for an evening featuring Israelis and Palestinians who are working in grassroots movements toward a shared society from the ground up. 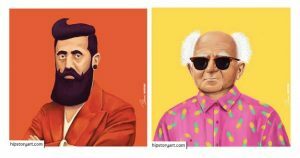 Join Mishelanu UMD to paint artwork inspired by the well known Israeli artist, Amit Shimoni! 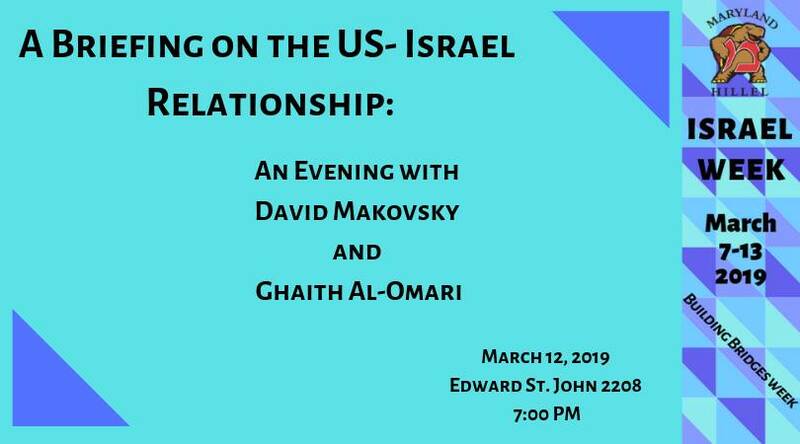 David Makovsky and Ghaith Al-Omari will discuss the current state of the two nations’ alliance, and will speak to the United States’ current posture in a volatile region plagued by controversy, dual narratives, and opposing views. 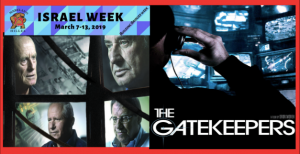 J Street is honored to be a part of Israel Week. 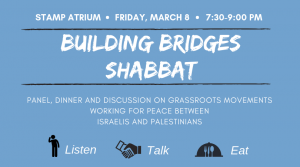 This documentary screening will take place in the UMD Hillel Game room. 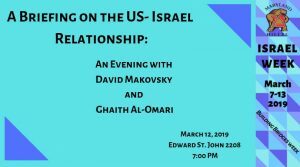 Any and all are welcomed.